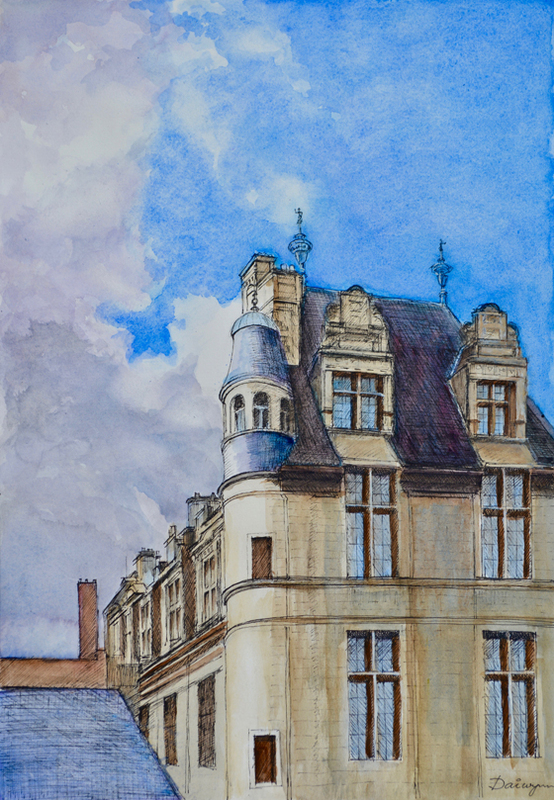 Le Château d’Écouen, le Musée de la Renaissance, built between 1538 and 1550 in a village just north east of Paris, France. Ink and watercolours on 300gsm smooth surface Arches cotton paper. 42 cm high by 29.5 cm wide by 0.1 cm deep approximately. 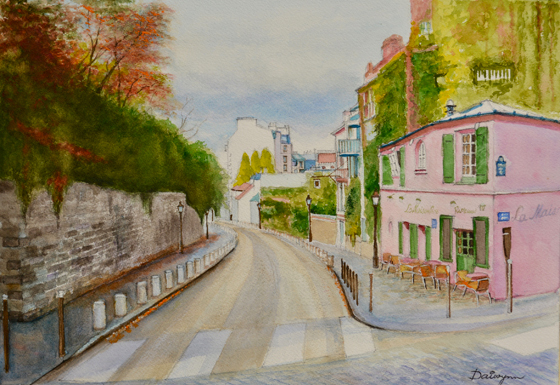 Watercolour painting by Dai Wynn of a street in Montmartre, Paris in autumn. Painted on 300gsm medium surface Arches paper. 29.5 cm high by 42 cm wide by 0.1 cm deep approximately. A3 standard size.